Honoring the memory of those lost during the Vietnam War, The Moving Museum was welcomed July 17-21, 2014 by the Sandstone, Minn. community. Following opening ceremonies on July 17, Becky Lourey spoke as an invited Gold Star Mother during local dedication ceremonies on July 19. 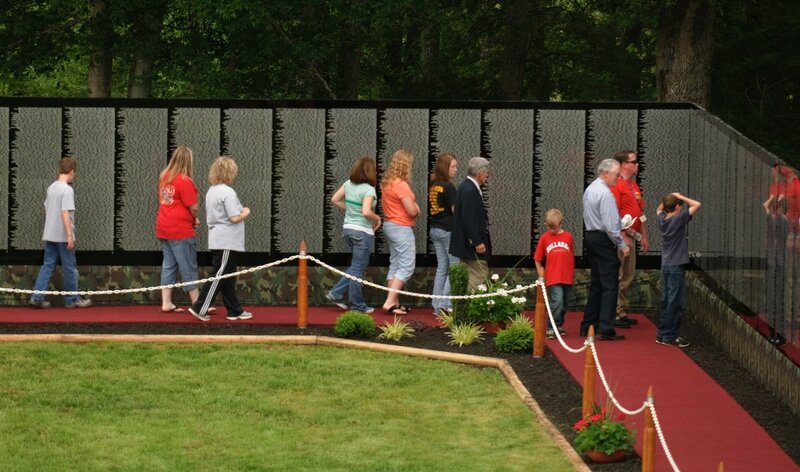 In October 2014, The Moving Wall Museum celebrated 30 years of touring. The week following the Sandstone visit, the moving exhibit remained in Minnesota traveling to Cleveland (northeast of Mankato), and was scheduled to visit Iowa, Illinois and Georgia the following month. Visits require months of planning by a committed group of local volunteers and the efforts of sponsoring civic organizations.